I like to try to model with the new PB7 features some concept map. How I consolidate the same link in a link which is splitting of? P.S. 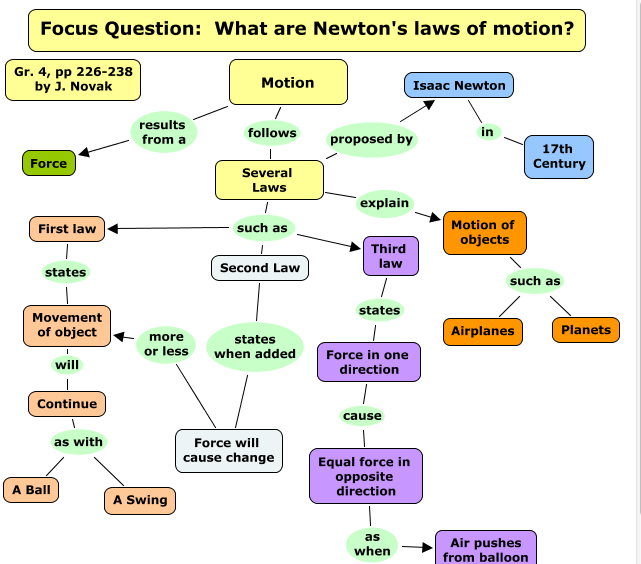 I hope Airplanes don't fall like apples or planets straight "down" and uses some more sophisticated physical effects... (Bad example, but that's just a concept map). You can't, I believe Harlan or someone suggested at one time to create an intermediary thought that you can use to create the split. Using bright colors for your regular thoughts and then duller colors (or no color) for the thought that handles the two link splits would work the best. 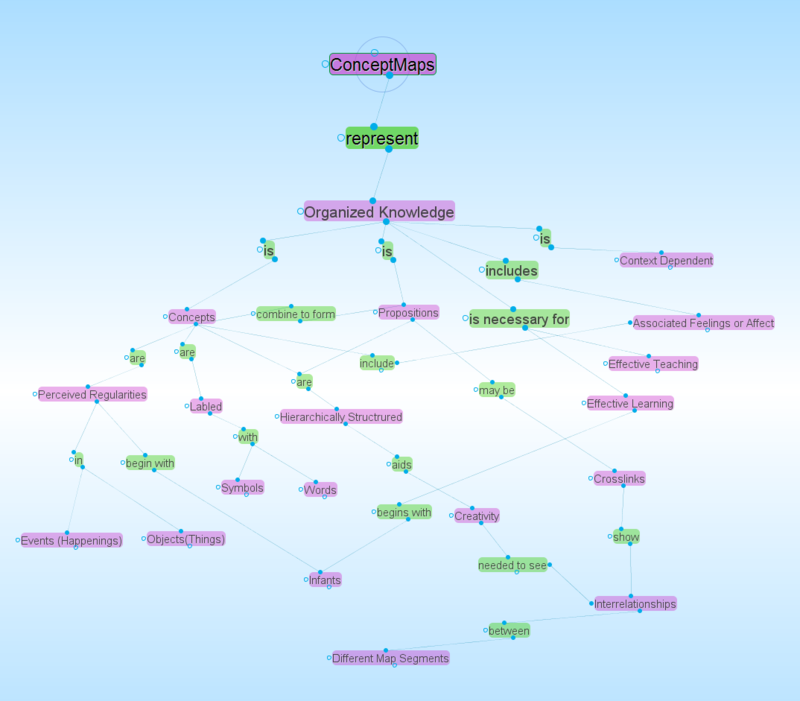 Perhaps one could use special links types and thought types defined as concept map units so clusters of special thoughts and links would then fill your requirement. > Using bright colors for your regular thoughts and then duller colors (or no color) for the thought that handles the two link splits would work the best. will work, but for dynamic huge maps it will be quit inconvenient that I always think in advanced if this specific link is unique (and get modeled as the object link) or will be more complex in the future (and I need this workaround). Links (the node = text of the link) is the same object like a thought. It has only some tag (this is now a link) and with untagging it can be changed to the normal thought. So Concept Mapping is the deep dive in the detail thoughts and Context Mapping is more the word of traditional PB-features. 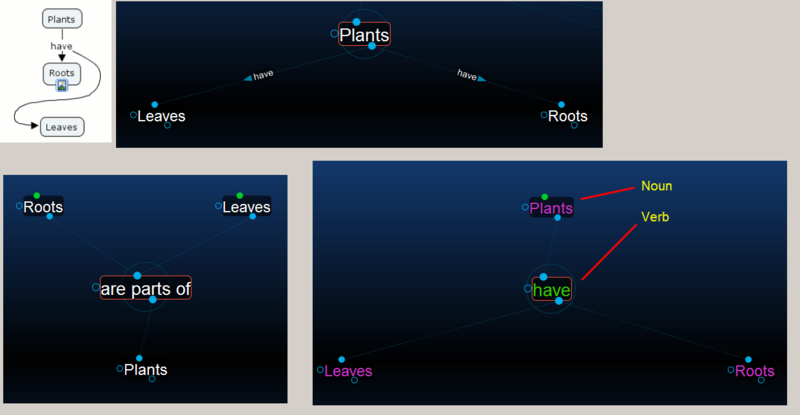 But with little enhancements PB will work too for Concept Mapping very efficiently. 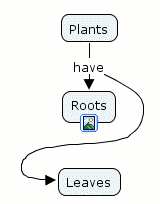 the problem with context maps is: They are just graphical representations of the syntax of some sentences. 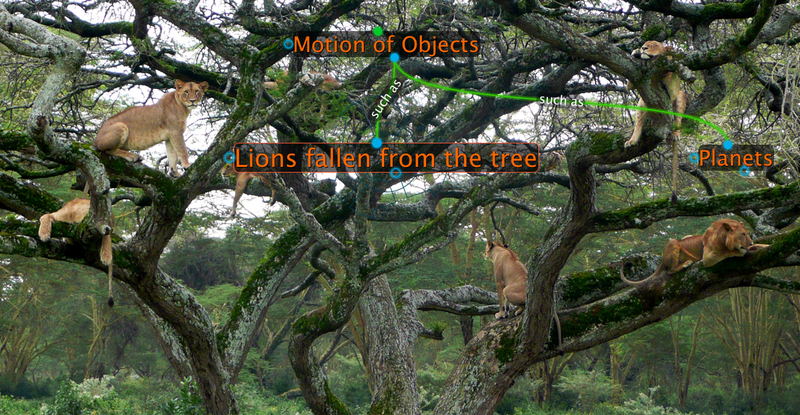 Sentences with the same meaning can lead to vastly different concept maps. If the author of the sentence knows how to express himself, you get an intuitively understandable concept map, if not, you don't. yes this is absolutely true. But isn't is this the same prob for all graphical modeled information? For me concepts maps are very helpful to design a very condensed one-pager, which is perfect for memorizing all important informations for some exams. (Today I use for this mind maps, but they are only clouds of keywords without "real" structure). PB today I use this more for the longterm meta-structure (today I don't found the trick how to condense the most relevant informations together on one page, which I can print out easily. So for me it would be a big advantage also to model details in the style of Context Maps with PB (so I can skip my mind map modeling). This is quite an achievement. But it's up to you, or to us users, to make something of these elements, to structure them and to decide, which ones should convey object information and which meta information. TheBrain is not promoted as a tool for semantic modeling and has no inbuild rules for that purpose. yes PB has many good features that go far beyond the Concept Mapping and I use tagging and typing extensively. 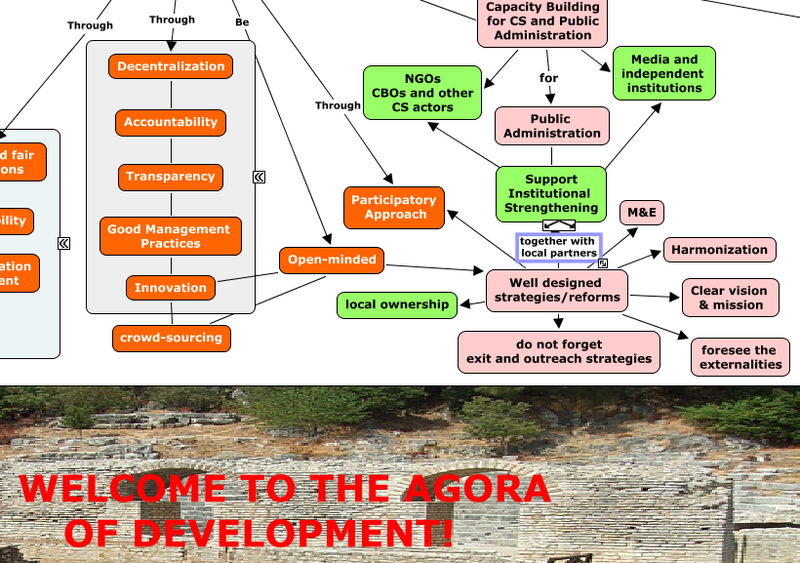 But if I like to model the one-pager Concept-Map of your Wikisoure. I don't get all on one page with the same look and feel for the printout, because following features are missing to do this. So today I need for this task 2 tools PB and CMaps and I would be glad to use PB only if the thinking time is much greater than the time of digitizing. 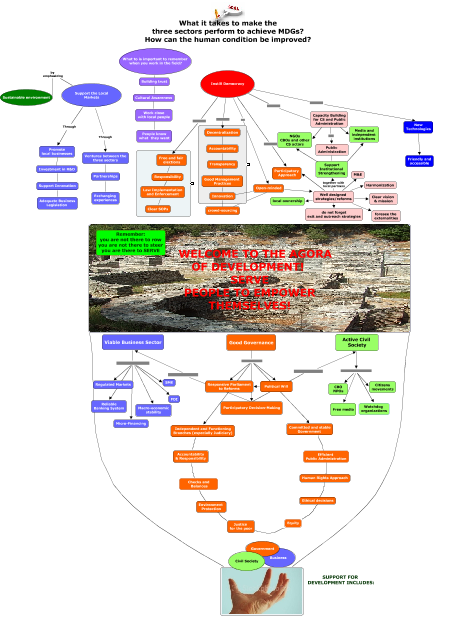 here is a good workflow how to setup a Concept Map. For example, I don't consider this a good CM. They are one possible organization of Knowledge. 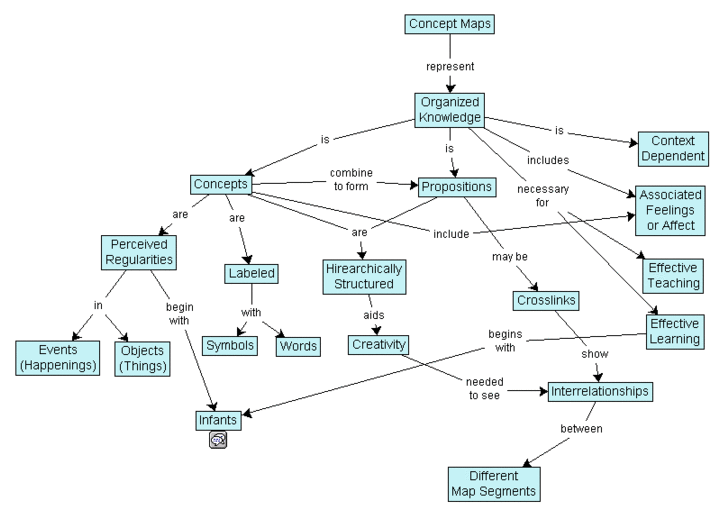 If one can't think clearly, no concept map will help.